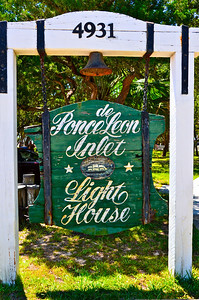 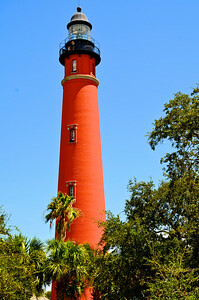 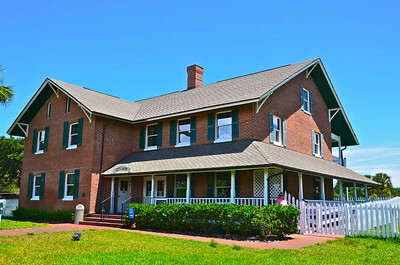 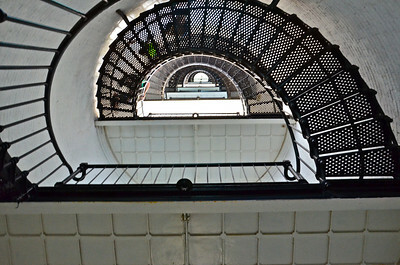 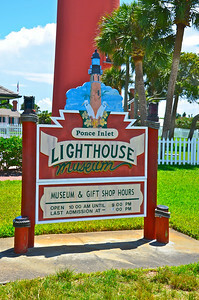 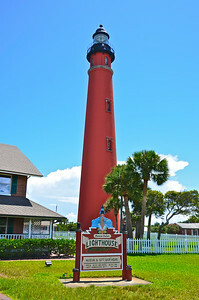 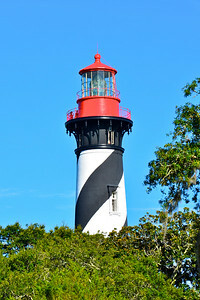 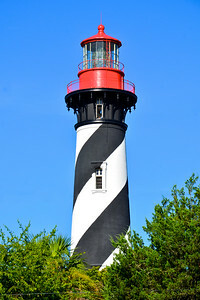 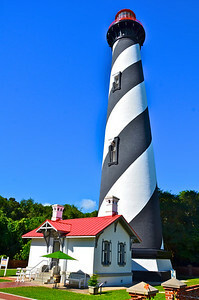 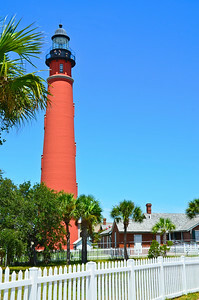 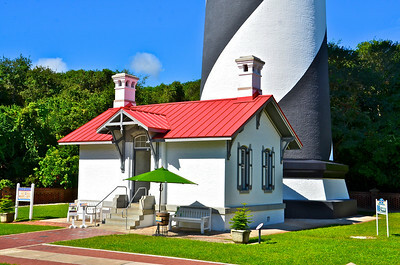 The Ponce de Leon Inlet Lighthouse is located just south of Daytona Beach, Florida on the north side of the inlet. 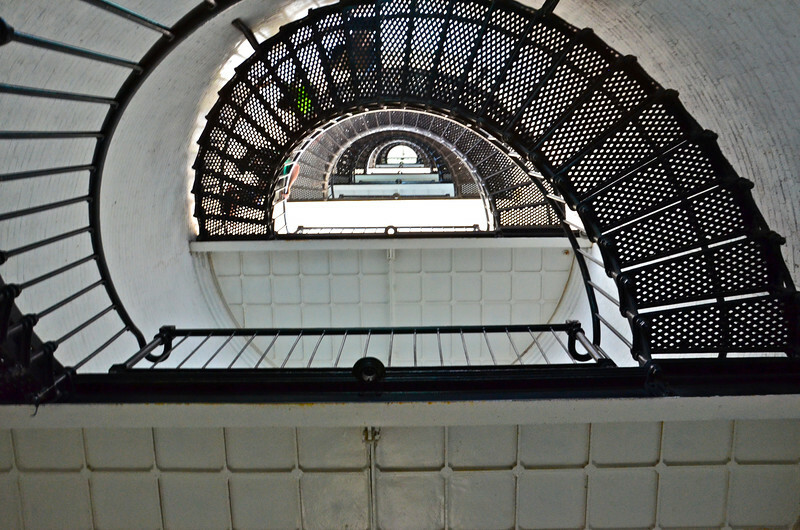 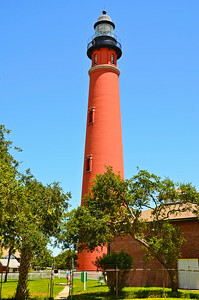 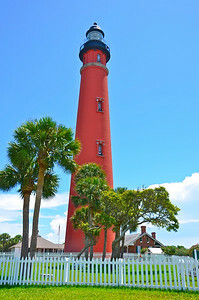 Completed in 1887 using over 1 million bricks, the lighthouse tower stands 175 feet high and is the tallest lighthouse in Florida and the second tallest in the United States. 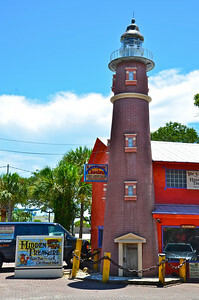 This much smaller version of the Lighthouse is just across the street and 'lights' the way to the bar and restaurant. 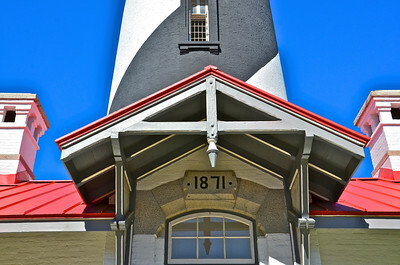 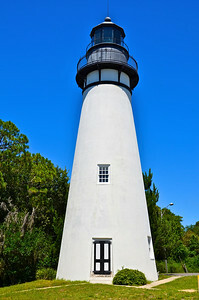 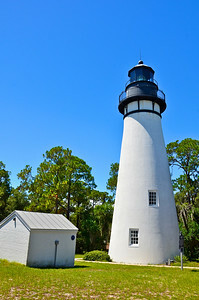 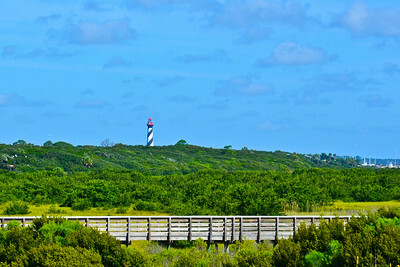 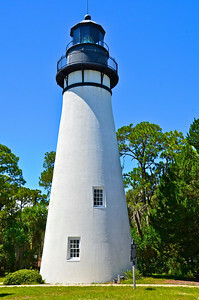 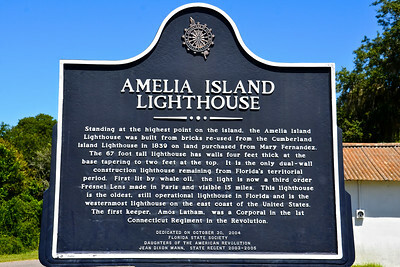 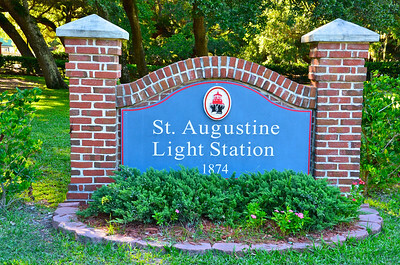 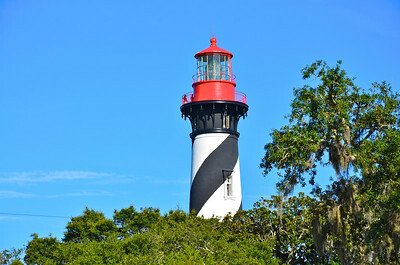 The Amelia Island Lighthouse marks the entrance to the St. Marys River that runs between the state borders of Georgia and Florida. 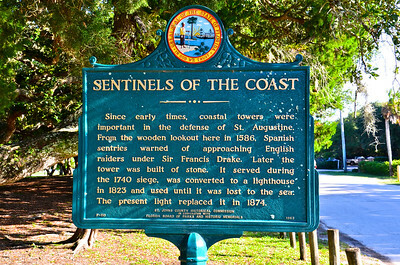 Standing 67 feet tall it was originally built on Cumberland Island, Georgia in 1820 but in 1839 it was dismantled brick by brick and rebuilt at this location on a high bluff on the south side of the St. Marys Inlet.